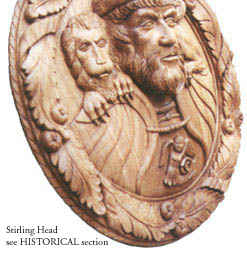 John Donaldson established a professional carving workshop in 1991 in Livingston, Scotland. In conjunction with associates he can offer a comprehensive service to clients, from design to completion, encompassing a diverse range of subjects and stylistic approaches. Machine and shop capacity enabling large scale work.